Last night Obama needed to win. There really was no other option. Obama was so on (and then some) that you could feel Bill Maher's elation when he tweeted about the return of the "Black Ninja." Then it got seriously real when the issue of energy and drilling companies motivated both to pretty much get into each other's grills creating one of many unexpected and unforgettable moments. Moments such as a woman named Lorraine. Or was it Lorianne? In fact, there was a binder full of women. Romney attempting to spike the ball by asking Obama repeatedly if he has in fact checked his (much smaller) pension. And Michelle and Ann's fashion blunder. The second presidential debate finally took place last night and Obama's self-inflicted pressure to outperform (well actually just perform) was on the minds, lips and fingertips of everyone who cared. And that included me. Just like the last debate the lead-in to the main event is a slick buildup when it comes to television productions. Dazzling graphics, side-by-side analytics, instant "scientific" polls of every possible breakdown among other mind-numbing talking points. Of course now we know that in the first debate Obama famously fizzled. The follow-up was the Vice Presidential debate between Joe Biden and Paul Ryan where Biden basically stepped in and stepped up hitting home run after home run, all strategically designed to rally the base and tell them to still believe. Last night Obama needed to win. There really was no other option. The second debate as part of American Presidential debate tradition, is usually in the format of a Town Hall, where the auditorium, this time at Long Island's Hoftra University, is filled with a select number of undecided voters from New York as well as your regular debate enthusiasts. Keeping in mind how polarizing these two candidates already are in terms of ideology, what they can offer, their ratio of promises to delivery, all among the backdrop of the economy it is (well it is to me) kind of hard to figure out that there are people who still don't know who to vote for with just three weeks to go. SNL brilliantly tackles that election season phenomenon with a mock commercial featuring a group of undecided voters with less than admired intelligence pleading with the candidates that they still have unanswered questions (hard hitting ones like "When is the election?" and "Who is running...and be specific"), such game changing issues that they feel still needed to be addressed. This debate did come across as a prizefight, with CNN's Candy Crowley doing double duty moderating/refereeing (interestingly it's the first time in 20 years that a woman has moderated a presidential debate) and fielding questions from the pool of The Undecided. Obama was so on (and then some) that you could feel Bill Maher's elation when he tweeted about the return of the "Black Ninja." Then it got seriously real when the issue of energy and drilling companies motivated both to pretty much get into each other's grills creating one of many unexpected and unforgettable moments. You know who I'm talking about. An uncommitted voter, who on cue had her prepared question about illegal immigration poised for Romney. He, as any gentleman would and should, wanted to ensure that he pronounced her name right so he did, signalling her to correct him. Then it was Obama's turn. He also wanted to make sure that he called her by the right name. The catch is that her name was Lorraine. Not some terribly hard silent letter dwelling moniker. The fact that both men kept questioning her to make sure they have her name right sparked 109,560 tweets. I mean really. It's Lorraine. Not that hard. Romney: "Mr. President, have you looked at your pension? Your pension? Mr. President, have you looked at your pension?" Obama: "It's not as big as yours, so it doesn't take as long." During one of his caucus victory speeches earlier this year, among the many action items that Romney listed, one was getting the Keystone Pipeline back on the table to get the oil that they "are entitled to." Nice, huh? Well the Keystone Pipeline once again makes a comeback as well as reference to our tax plan and of course the universal healthcare spirited Obamacare. Naturally I want to do the traditional Canadian "Hey! We Get A Mention" cheer, but please stop. No seriously. Stop. There's a binder full of women . Among the less than enlightening questions asked that night, one of the best (and by 'best' I mean smartest by a longshot) was by a young woman who wanted to find out more about getting equal pay for women in the workforce. Yeah that's right. I can't believe that this is still an issue in 2013 and that I'm happy that someone actually brought it up. Obama goes right into it with the mention of his Lilly Ledbetter Fair Pay Act that he passed where women can challenge pay discrimination. Romney not sure what question he heard confidently provided heartfelt examples during his various posts where he wanted to hire women in his various executive roles. During this particular search "binders full of women" were presented to him. Well guess what? "Binders Full of Women" is now a tumblr page. And sparked a mini-meme in the twitterverse. Obama was not having any of it. It was clear from the minute he left his corner and entered the ring, Obama was set to undo the litany of wrongs he did from his first performance. He came out swinging, cutting down each point that he could when presented with the opportunity. Sure, it could easily be seen as him overcompensating for what he should have done the first time around, but whatever, it made for great television. And it can't be ignored that him coming across as an 'angry black man' could have caused him to be restrained in the past. But now the gloves are off. Case in point: Libya. Leading up to it, Obama enthusiastically interjected, where needed, to set various records straight. He was jovial to a certain extent, but mainly cordial and composed. 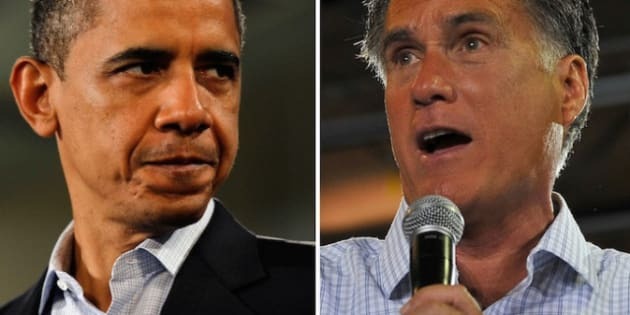 Then Romney made a Superbowl-sized blunder, with his insinuation that Obama has been politicizing the Libya attack in Benghazi where it lead to the death of the U.S. Ambassador. That's where I swear I thought I saw red lasers coming out of his Obama's eyes as he pretty much schooled Romney six ways from Sunday. All this while I swear I heard the resounding thud from foreheads being slapped at the Romney/Ryan Campaign Headquarters at the sight of such a lost opportunity by their candidate. What one may forget is that both candidates and their parties agree to the rules of the debate prior to signing on. Sometimes it's an arduous process: a tug of war to ensure that it's a level playing field but also filled with ulterior motives to see if it may bring their candidate an unseen advantage. So when Romney kept and kept and kept on trying to sneak in an answer that may be past his allotted talking time scheduled for that particular segment, it comes across as quite stubborn, disrespectful and arrogant. And judging by my twitter feed it didn't go unnoticed. One of the most glaring trends was the quality of questions. The best one was the last one where it went all Phil Donohue/Oprah-esque asking both candidates misconceptions they may want to clear up about themselves. Yes. Exactly. I don't know but I don't think I've ever seen a presidential election be so touchy-feely. If it's another poorly concealed ploy to attract the female voter, it's a pretty sappy one at that. Man up please. The Metrosexual trend is so 2006. Finally, I can't end this observation without the biggest observation of the night (according to my fellow fashionistas and image managers), the obvious twinsies situation that occurred tenfold. The better halves were dressed in the exact same shade of Pepto-Bismol hue of pink which, when you take into the account how carefully structured and managed each person's image is during this particular Presidental race, you can't help but be dumbfounded by this unforgettable fashion blunder. It's the same hue, same intensity of shade and a very similar silhouette to boot. I'm sure that Ann and Michelle probably had a few choice words for their staff (as would I).